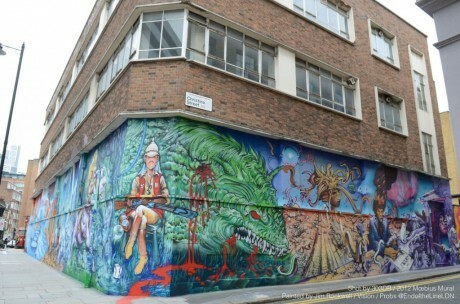 A homage to the late great French illustrator Jean Giraud, by Jim Rockwell aka Vision from EndoftheLine in London, EC2A. 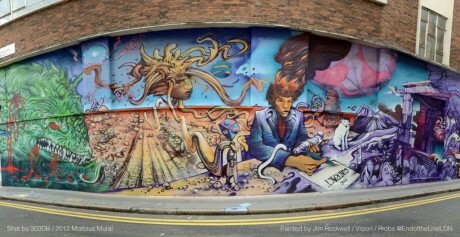 Painted over the course of 9 of our recent sunny days, this epic mural utilised nearly every colour in the rainbow and references an RIP to MCA as well. We’ll have details on the upcoming video produced by 303DB and edited by Jim himself. Stay tuned.